Conservation can be many things, and it can occur in many ways. The one constant, however, is that conservation is not free. Maybe you donate time to helping spread public awareness, donate effort in organizing local rallies, or offer both time and effort into joining local protests or pushes for legislation which will protect animals or provide care for animals themselves. Or maybe you choose to donate money to organizations that do all of the above. ICARUS is a group run by people donating their time, their own money, and all the effort they can muster to help animals all over the world, but we can’t be successful without the help of folks like you. There has been speculation within the comments of some of our posts that we’re somehow affiliated, or funded by Big Cat Rescue. This is not true. We do agree with BCR’s policies of hands-off conservation. However, we have no formal affiliation with them, nor do we receive any funding from them, or any other established conservation organization. To assert that we’re funded by a group simply because we agree with them and what they do would be to assert that we’re also affiliated with, and funded by, the likes of Leonardo DiCaprio, Ian Somerhalder, Ricky Gervais, Betty White, and countless other celebrities whose conservation efforts we support and agree with. Trust me, if we had funding from such people, you’d know about it because we’d be shouting about it from the rooftops. The truth is that right now, we’re funding ourselves (much to the agony of our bank accounts) and working by donating time and effort to ICARUS on top of the time and effort devoted to full time jobs elsewhere. Some of us are also balancing other carriers along with full time jobs, and ICARUS work, and the daily care of our own domestic animals. The result is a hectic shell game of time, energy and money that only other animal advocates and owners can understand firsthand. It is worth every moment of struggle, though, to be able to say that what we’re doing is helping animals all over the world. Every movement must start somewhere, with a few steps into the unknown future. Sometimes, you can’t know how things will turn out, but you do know that moving forward is the only way you’ll ever find out the answer. Such a leap of faith is often the driving force behind conservation projects. It just can’t be the only force behind them. If conservation and animal rescue could be carried out on faith and love alone, then there would never be cases of hoarders or failed rescue centers. The hard truth is that while conservation efforts can be started with ideals and determination, they must, at some point, also start bringing in monetary support. To this end, the ICARUS project has added a donate button to our blog, and we hope you’ll consider donating to our efforts. Be assured we are seeking funding from many sources, not merely the public but every dollar matters, even if it doesn’t seem like much. Donating just five bucks might mean there’s enough gas to get our field researchers to an undercover animal swap where they can expose illegal activity, or it might mean that they can afford to buy milk replacer for an orphaned baby sloth, bandages for a burned sloth, or it might provide the last money needed to purchase a tracking collar for a to-be-released big cat, the study of which can help with the conservation of that species. No matter how small an amount, any donation will help us continue our research and help animals everywhere. Rescuing animals is expensive and hard. Often the animals have suffered abuse and neglect. They are difficult, or impossible to handle for bandage changes or medication. You worry about them constantly, and are forced to watch them suffer further during treatment, knowing all the while that they still might die, many times from simple things which were left untreated, things that an animal should never die from. If they do survive, then rehabilitation looms large on the horizon, creating further trials that must be overcome in order to reach true recovery. And I’m just talking about domestic animals. Add the factor of the animal being wild, and completely unaccustomed to human interaction – or accustomed only to abusive interactions – and it takes rescue and rehabilitation to a whole new level of struggle. These are the kinds of things that the ICARUS field team are dealing with on a daily basis. Watching the suffering of animals, documenting it, and doing what they can to stop it. It wears them down emotionally, physically and mentally, yet the team continues because it’s what they must do in the name of protecting animals all over the world. And along with all of the animal-associated stress they endure, there’s the monetary stress as well, the not knowing if they’ll be supported by others, or if they’ll end up penniless and stranded in a foreign country in the middle of their research. So while twenty-five bucks, or ten bucks might seem pointless to donate, it isn’t. It’s twenty-five dollars that can be used to help save an animal, to help educate those who are exploiting animals, or to help set up communities with options that protect animals, instead of harming them. 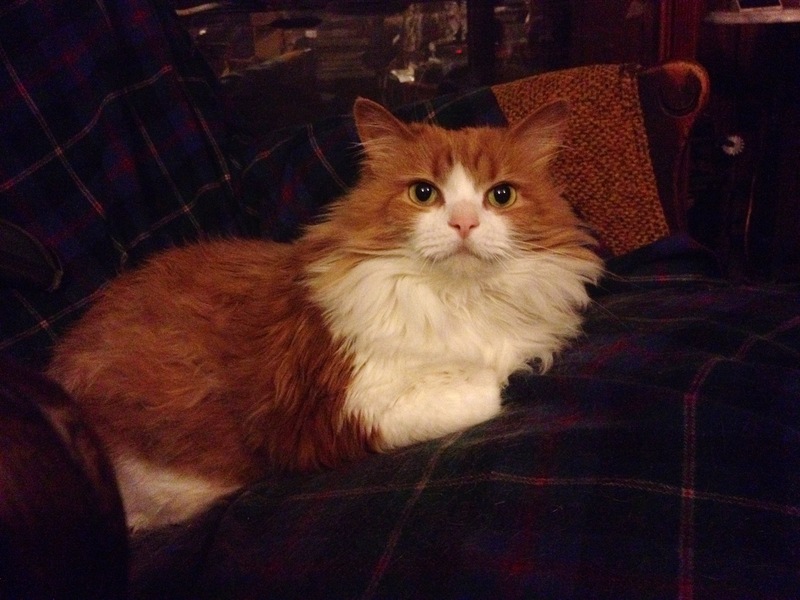 Rather than load this post with terrible pictures of suffering animals like those commercials on TV that give us nightmares, I’m using photos from two of my own rescues stories, that of Francesca the miniature Sicilian donkey, and Muffet, the cat. Fran came to us free because the rest of her herd had been sold off and no one wanted her. When she arrived, her condition was a complete shock, and we were forced to choose in a split second whether to turn her away, or take her and pray we could treat her and keep her alive. Muffet was a slightly different story, but both cases involved simple neglect which led to complex medical conditions. Fran hopped off the trailer about 150 pounds overweight (she stands only about three feet tall at the shoulder) suffering from chronic founder, with feet that had gone untrimmed for years. Once her feet had been properly trimmed (all of that growth was ‘dead’ tissue) we had to keep her feet wrapped with dressings. 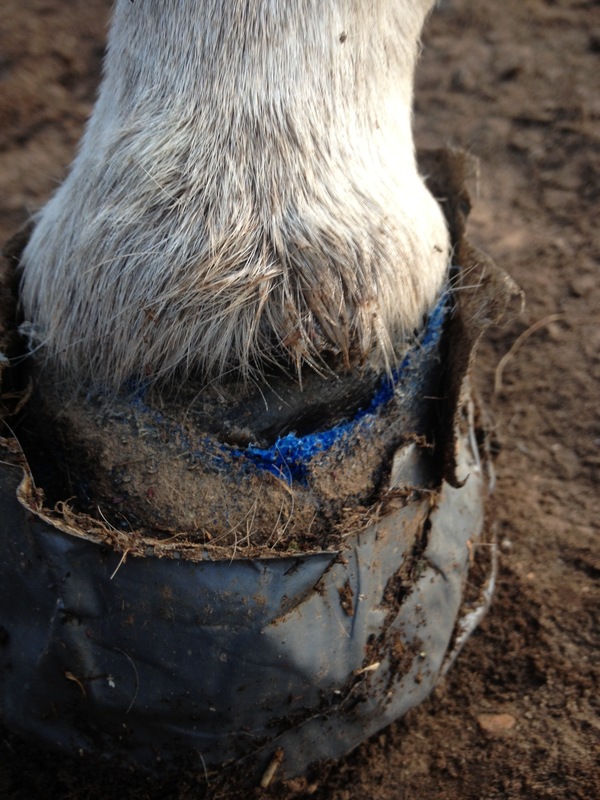 Because the tissue had be grossly stretched, any piece of dirt could travel up into the the depths of her foot, causing an abscess which would then rupture at the juncture of hoof and leg (the coronary band) Each ruptured abscess came with the possibility that the abscess would spread along the coronary band and create an ‘unzipping’ effect that would cause her foot to detach entirely from her leg, a fatal complication. It took over a year of constant dressings on all four feet in order for her feet to grow out and the tissue to resume proper form. 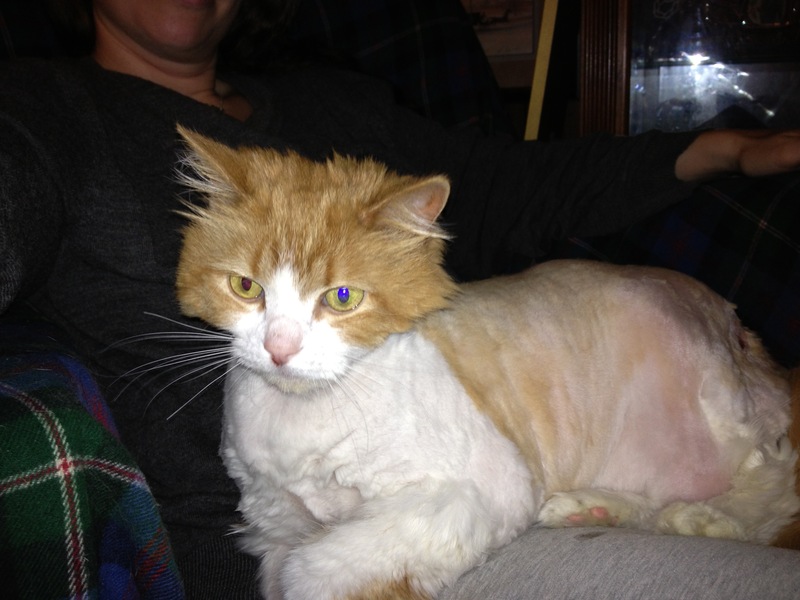 Because Fran had been neglected, and then put through painful procedures, it took time for her to trust adults again. Children, however, she was instantly drawn to, and protective of. Here she is with my niece, who calls Fran her ‘Donkey-Sister’. The two are inseparable. Fran’s ears are abnormally shaped due to untreated frostbite, and her tail is only a stump as a result of an untreated wire wound, which became infected and caused her tail to fall off. Her ears and tail stump still require maintenance, as she’s susceptible to both sun burn, and frostbite. The black object on Fran’s nose in the header photo is a grazing muzzle which restricts how much grass she can consume. Donkeys are incredibly efficient processors of food, therefore in lush areas like Virginia, artificial restrictions must be used in order to prevent them from overeating, and foundering. This can mean keeping them in a dirt lot, or utilizing a grazing muzzle which only allows her to consume small quantities at a time. Muffet was another case of simply not caring. She at some point received a minor injury, possibly just a scratch, which became infected. 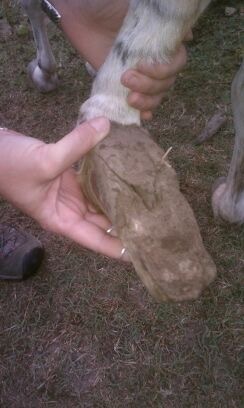 Without treatment, this infection created an abscess which then became infested with maggots. Over a thousand were removed from the wound. 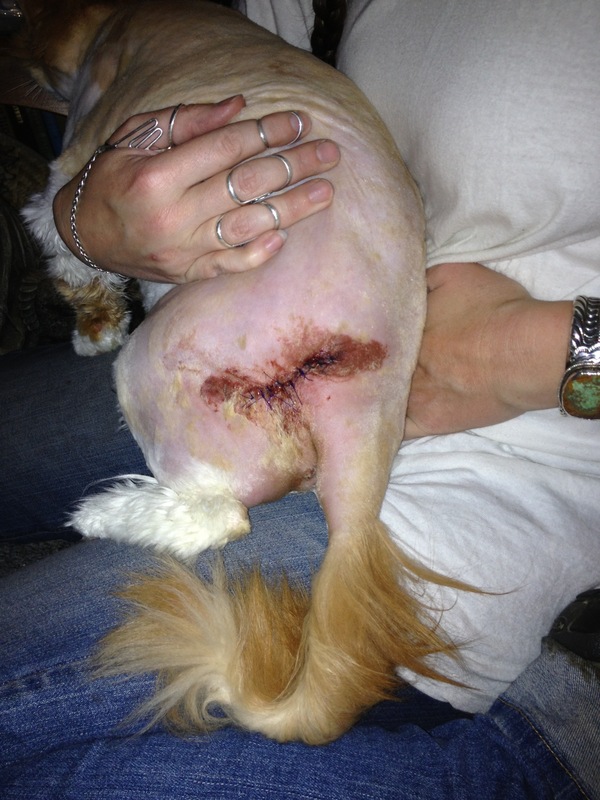 Here’s the site several days after the initial debridement and suturing. The skin required careful monitoring as it healed. Though suffering, Muffet was much easier to treat than Fran, as she was at least accustomed to human interactions, whereas Fran had been abandoned in a large field and left to fend for herself for several years. Both of these cases of neglect cost thousands of dollars to treat and months/years of attention, and the cost would have been higher if I didn’t have the skills to perform tasks like dressing changes and suture removal. Now, imagine relatively simple situations like this with wild animals who cannot even be touched without sedation. Imagine the time, and effort and skill required to treat wild animals. Yes, conservation carries a high price, both literally, and figuratively. We hope that you will help the ICARUS group by donating to our research and conservation efforts, no matter the size of the donation, and then share our page, and help spread the word. It is our hope that in the future, there will be no need for anyone to donate to conservation, because we hope that conservation itself will become obsolete, and that care for the natural world will become the norm. Until then, we need your help so that we can help animals in need all over the world. Reblogged this on Top Naperville Animal Hospitals.